Pretoria-The High Court in Pretoria is on Thursday expected to hear arguments in the Democratic Alliance’s urgent application to compel President Jacob Zuma to supply his record of decision for his Cabinet reshuffle in March. The Democratic Alliance filed an urgent application with the court on April 24, to force President Jacob Zuma to give reasons for reshuffling his Cabinet on March 31. DA chairperson James Selfe said in a statement that the party had asked the court to force Zuma to provide a written record of the decision, and reasons for the reshuffle. The Democratic Alliance filed an urgent application with the court on April 24, to force President Jacob Zuma to give reasons for reshuffling his Cabinet on March 31. 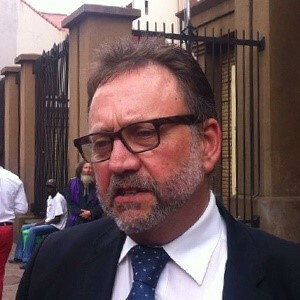 DA chairperson James Selfe said in a statement that the party had asked the court to force Zuma to provide a written record of the decision, and reasons for the reshuffle. But State Attorney Isaac Chowe, in a letter responding to the DA, said the president was under no obligation to provide reasons to the DA for the Cabinet reshuffle. Selfe said the law required the president’s decisions to be “rational”. The president’s decision to dismiss or appoint a minister of finance required an additional bar of rationality, Selfe said. The midnight reshuffling saw former finance minister Pravin Gordhan axed. He was replaced by Malusi Gigaba. Selfe said it is well known that the president was trying to get more control over the Treasury for his own gain. But State Attorney Isaac Chowe, in a letter responding to the DA, said the president was under no obligation to provide reasons to the DA for the Cabinet reshuffle. President Jacob Zuma allegedly received hundreds of thousands of rand as well as expensive gifts from Thales Group, according to court papers. Sygnia CEO Magda Wierzycka said we should offer President Jacob Zuma as much money as he wants to convince him to go.